So just a word of warning, this lesson requires prayer to be effective. INTRO: A good hook - a great way to pull in the kids attention for this story is to have some bait, real bait. 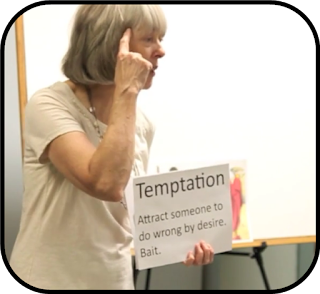 Temptation is all about bait. It means to attract someone to do wrong by desire - and the bait is what works on your desire. The bait hides the hook. SEGUE: We discussed whether it was wrong for a fish to want to eat the worm on a hook, or the lure. Of course not. And our desires are not wrong either, but they can lead us to do wrong. LESSON: Enter Satan to attract Jesus to do wrong through his desires. We examined each temptation and identified the desire Satan tried to used to lure Jesus. VISUALS: I use Free Bible Images to make most of my visuals. I created a set of 11 x 17 flash cards for this story. You can access the cards here. For directions on how to print and store these cards see my blog post DIY Fold-able Flashcards. 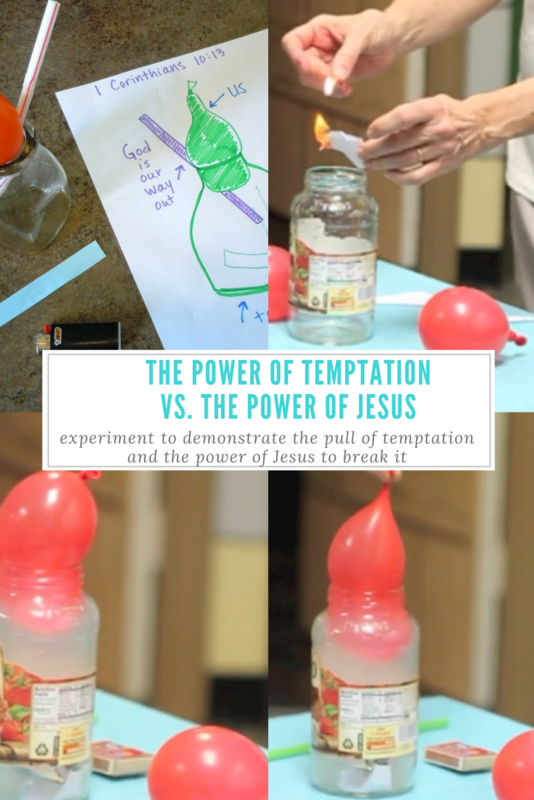 OBJECT LESSON: I used an object lesson to show us the power of temptation and the power of Jesus to release us from temptation. You can find full instructions for the object lesson here. APPLICATION ACTIVITY: We closed with an activity designed to help the children learn how to use the word of God to counter temptation - sword fighting. You can watch it in the video. 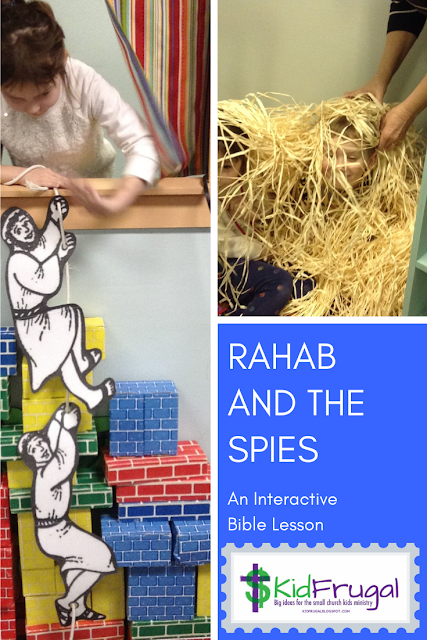 The instructions and printables for this game are in this previous post. 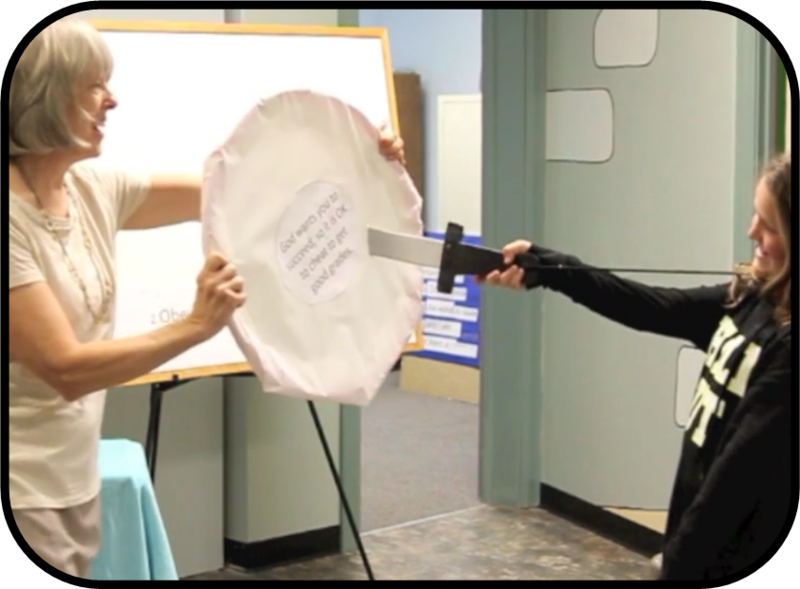 This time I covered hula hoops with butcher paper to make the targets.